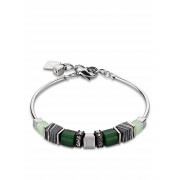 The Geo cube bracelet by Coeur de Lion is sure to get you noticed this season. 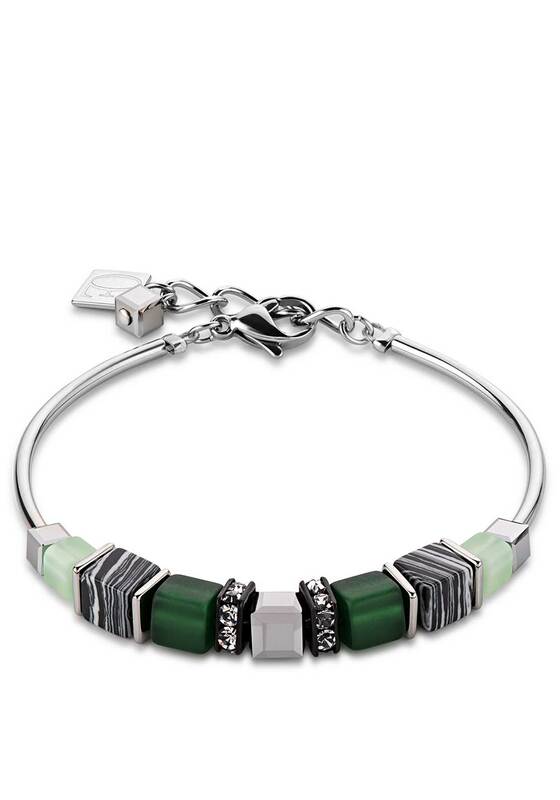 Unique and understated, with green and marble cut glass, stainless steel and has sparkling rhinestones and crystals. Team with the matching necklace and earrings for a special occasion or give as a gift.